When a half-Aboriginal, half-Italian “white” nationalist named Ralph Cerminara warns John Safran not to stroll through the predominantly Muslim Sydney suburb of Lakemba wearing a “Jewish hat”, Safran – being Safran – does exactly that. For good measure, he also dons tefillin, and carries a copy of the Australian Jewish News. It’s the kind of stunt that will be familiar to fans of the Melbourne-based satirist, author and film-maker, who – in the interests of his art – once sprinted through Jerusalem wearing only a St Kilda scarf and beanie. He has also placed a voodoo curse on an ex-girlfriend in Haiti, and been crucified in the Philippines. In his new book, Depends What You Mean By Extremist, subtitled Going Rogue With Australian Deplorables, Safran explores the borderlands of Australian politics, focusing on the surreal, chaotic and increasingly cluttered landscape of the far right. This is a region no longer remote from the mainstream, with Pauline Hanson’s One Nation occupying four seats in the federal Senate and further afield, like-minded parties and ideologies gaining support in the US and Europe. As usual, the self-styled “Jew detective” gets up close to his subjects: he skulls tequila shots with white supremacists following an anti-mosque protest in Bendigo; has dinner at the home of a jihadist preacher with a love of Monty Python; eats falafel with anti-racist anarchists; and prays with an evangelical pastor, Daniel Nalliah. The jihadist, Musa Cerantonio, a Muslim convert, was later arrested with four others, for trying to sail a tinny to Indonesia and join Islamic State. What insights did Safran glean into groups such as the avowedly racist United Patriots Front (UPF), which counts Mr Cerminara among its stalwarts, and the Reclaim Australia movement, which has staged rallies in capital cities in recent years? There are, the 44-year-old says, “multiple sub-groups and they all hate each other”. And although Islam is their main target, “they’re all obsessed with the Jews”. Their supporters “genuinely think they’re normal Australians, and not radical at all … And in some ways, they are just like regular people. They’re interesting and funny and self-deprecating. So you do end up quite liking them. But that doesn’t mean you believe what they believe. However, he did have some anxious moments. When an “emo-Nazi” at a Reclaim Australia rally called him “a Jewish parasite”, for example, and threatened him: “Write about me and see what happens!” As he infiltrated this murky netherworld, Safran grew paranoid, and even bought a knife. That rally, staged outside the Victorian parliament in mid-2015, was a bizarre spectacle. One speaker paid respects to the traditional Wurundjeri people. The UPF leader, Blair Cottrell, stood shoulder to shoulder with Pastor Nalliah, a Sri Lankan immigrant. There were Asian, Indian and African faces in the crowd. Safran was astonished to discover that white nationalism was so … well, multicultural. Pondering this apparent paradox, he concluded it was best understood through the prism of religion. Several of Reclaim Australia’s founders, for instance, were evangelical Christians who welcomed Pastor Nallilah’s support in the “spiritual war” against Islam, despite his brown skin. Some Indian Hindus and Sikhs were drawn to such groups despite their anti-migrant stance, because of their own ingrained antipathy towards Muslims. Australians, Safran believes, are reluctant to analyse right-wing extremism in such terms, because “people here don’t know how to talk about religion … and yet religion courses through Australia”. He himself has long grappled with issues of race, religion and identity. 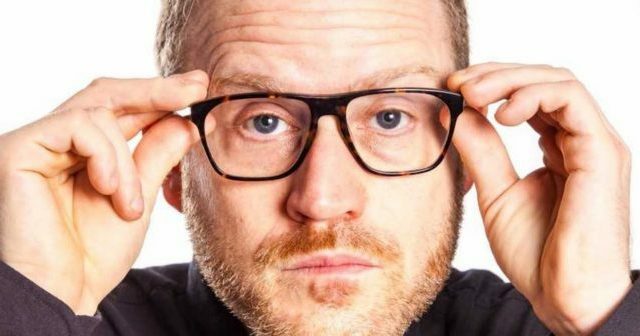 Among his TV credits are Race Around The World, John Safran vs God and Race Relations. His previous (and first) book, Murder in Mississippi, saw him stalk white supremacists in the Deep South. What’s the fascination? As well as his family background – maternal grandparents who fled Poland to escape the Holocaust, with his mother born en route – Safran cites his schooling at Melbourne’s Orthodox Yeshivah College and the perpetual Israel-Palestine debates he encountered at university. He has always used humour and satire to illuminate these subjects. They enable him, he suggests, “to get away with saying things that you’d get throttled for otherwise”. Interestingly, his most confronting experience while researching the book was not mingling with white supremacists who hate Jews, but being “gaslighted” by anti-racists who refuse to acknowledge the legitimacy of the problem of Muslim anti-Semitism. What happened in Lakemba, by the way? Did Safran get “bashed”, as Mr Cerminara had predicted? Not surprisingly, no. Was he abused because of his Jewish garb? Not at all. He did, though, emerge with one injury: a sunburnt nose. It was a ferociously hot day. Second photo: John Safran at the UPF rally in Bendigo (News Corp). Depends What You Mean By Extremist: Going Rogue With Australian Deplorables is published by Penguin Rrp $34.99. Kathy Marks is an award-winning Sydney-based journalist and author. She was The Independent’s Asia-Pacific Correspondent for 17 years.